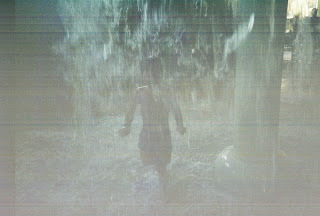 I can't seem to keep this blog current. I am so behind! So because of that, this post just has random pics that I have been meaning to post since May. I will try to do another one in a few days to get caught up! Hahaha! 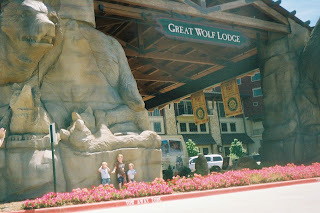 For Camden's birthday/Kindergarten graduation we went to The Great Wolf Lodge. If you haven't heard of it, look up their website. 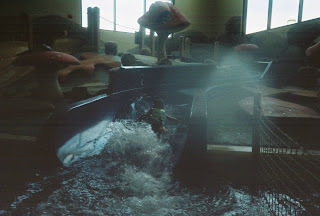 They have a huge indoor water park and several other things the boys loved. 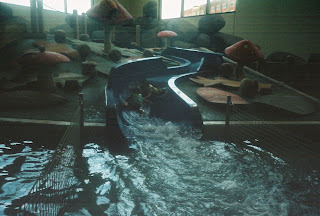 It is just a huge hotel centered around kids. Saying the boys loved it would be a huge understatement. I'm sure we'll be back. 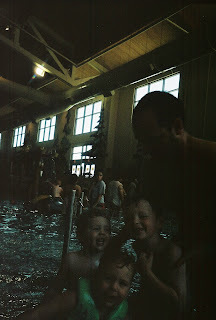 I bought a water camera but it was kinda dark so the pictures were terrible. I managed to save a few you could sorta see what was going on but most of the ones were just gray - including the one of us in the lazy river with Greg Ellis. Oh well. 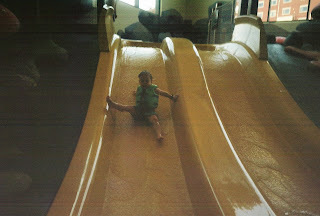 Camden and Jackson going down the slide. Your guess is as good as mine. I think it's Camden. We also spent an evening at a little carnival in Grapevine in May. I always forget how much money you can spend at one of those, especially now with 3 children wanting to do all the rides and eat themselves sick. It took them forever to find their way out of the House of Mirrors. Jackson loves to chase the geese. Camden practicing casting his line. I really am going to try to do another post in the next few days. 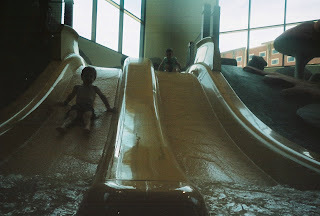 I still have lots of pictures I would like up, including trips to the lake and our vacation to Kansas City. We'll see what happens! 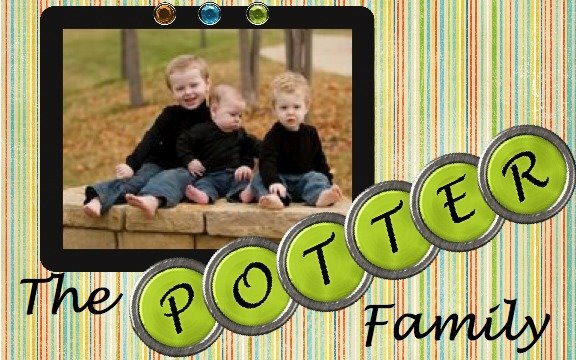 We have been very busy since my last update. I will try to cram as much as I can in this one and won't wait so long next time. Yesterday was Jackson's 2nd birthday and I promise give him his own post next time. The last couple of weeks we have had a kindergarten graduation, a weekend at the great wolf, spent an evening at the carnival and had lots of family time. Last week Camden graduated from kindergarten and had his last day of school. He will proudly tell anyone that he is now a first grader. Camden trying to get away from Mrs. Powell after walking across the stage. Blue faces after all the boys had a cookie with blue icing. Jackson flirting with the girl behind us. Well, little boys are waking up from a nap so I guess that will be all for today. Promise to do more soon.